Discussion in 'Birthdays & Anniversaries' started by Jerry Sullivan, Jan 27, 2019. 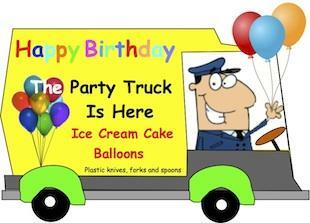 The truck finds itself across the pond today for Sjoerd's Birthday. Cake and ijsje for everybody!! Gail-Steman, Sjoerd and Frank like this. Een prettige dag gewenst Sjoerd!! Gail-Steman, Sjoerd and Cayuga Morning like this. Uhhhh, yeah, what Eileen said from me too Sjoerd!!!!! Gail-Steman, Cayuga Morning and Sjoerd like this. And many happy returns from me too. My stars, Sjoerd is another year younger, another year smarter, and another year better at gardening! Happy Birthday, and may you have many, many more so as to keep us here informed, entertained, and thinking. All the very best wishes from Victoria. Like Eileen said "Een prettige dag gewenst Sjoerd!!" HAPPY, JOYOUS BIRTHDAY to @Sjoerd !! Have a GREAT Day!!! A Wonderful Birthday to you!!! Well well well birthday boy!! Hope you've had a great day!! Thank you JERRY for beginning this Birthday thread. The older one becomes, the more mixed feelings one has about birthdays. hahaha. Not me though--I enjoy the social aspect so much that the reality of another year becomes ignored. You can call me "Ostrich" if you like. Ha, ha, ha...good onya EILEEN-- You got that perfectly correct. Chapeau. Thanks for your well-wishes, nice person. Thanks TONI--I sure did have a good day indeed. Aaaa JANE--You say the nicest things. Thank you. I appreciate your nice words, KILDALE. Thank you so much, KK. We had a good one. Thanks a mil--CAYU--I did indeed have an interesting pleasurable day. Thanks FRANK--Birthday wishes are always welcome. Gail-Steman, Frank and Sjoerd like this. OMG.....Well, after I got up off the floor with eyes filled with tears...it still took ten minutes to regain my composure. Thank you sweet lady for this hilarious ....no, "hilarious" doesn't cover it...B'day wish. Ah, S... Sorry I missed your day. Lets expand this to a week so you can celebrate properly. Happy Birthday. I hope you had a wonderful day.